When the temperature drops outside, the danger for house fires goes up. They’re more common in the winter months than any other time of year. NES offers these important heating tips to stay safe. Keep anything that can burn at least three feet away from heat sources including fireplaces, wood stoves, radiators, space heaters or candles. Turn space heaters off when leaving the room or before going to bed. Maintain heating equipment and chimneys by having them cleaned and inspected by a professional. An average of 45,900 home heating fires occur in the United States each year causing an average of 205 deaths, 725 injuries and $506 million in property loss. Heating is the second leading cause of home fires after cooking. 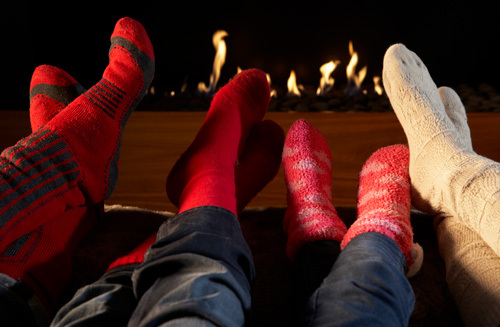 Home heating fires are most common during the evening hours between 5-9 p.m.
About 75 percent of home heating fires are confined to the chimney, wood stove or furnace. Check out the Heat Your Home Safely Infographic for more helpful advice.